So where are Maureen and Sarah…? … Yes Sarah and Maureen were hiding. 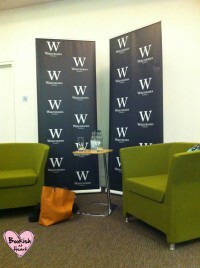 They randomly decided to hide behind the banners in Waterstones Piccadilly, the flagship (and largest) bookshop in Europe. And if that doesn’t make you adore them, I don’t know what will. 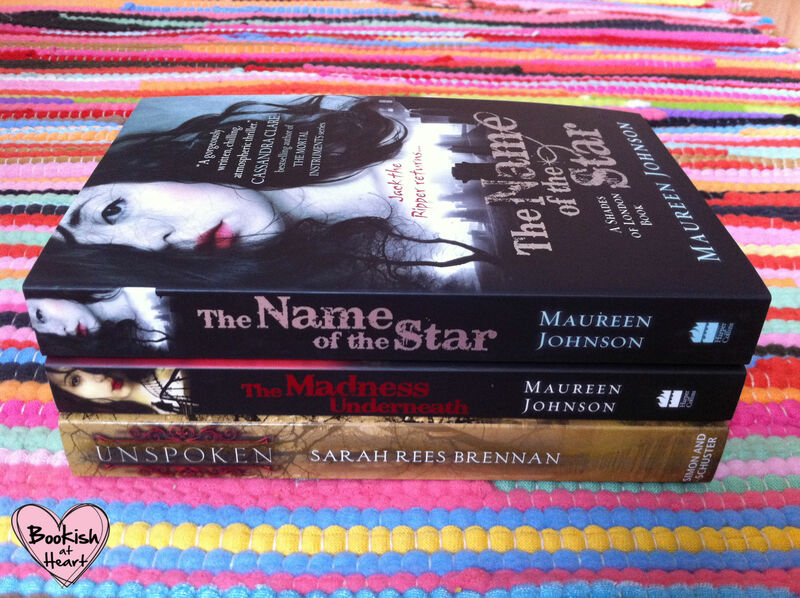 Why rational adults are not allowed in YA novels – “because they wouldn’t let our protagonists engage in plot” duh. One serious moment saw Maureen speaking about her Coverflip project, where she called on her thousands of Twitter followers to re-create covers of popular books imagining that the authors were of the opposite gender. Twitter responded, brilliantly illustrating the different biases for covers created for female authors and male authors. Maureen explained that in the publishing world readers hold a lot of power: “reading culture is changed by readers demanding change from publishers” and that it is our responsibility, alongside authors, to call for the changes we want to see. 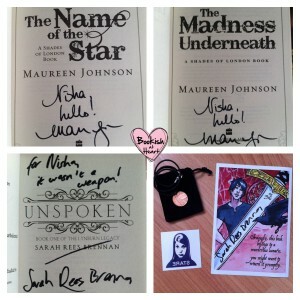 Maureen and Sarah signed their books and gave out little goodies. The third book in Sarah’s Lynburn Legacy series was also on sale – a month before the release date which was a treat! All in all, it was the best fun I’ve had in a while and I seriously can’t remember the last time I laughed so much. 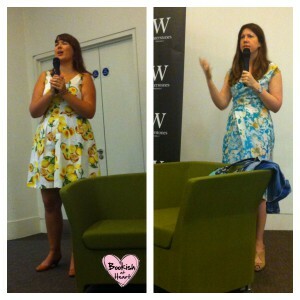 Have you been lucky enough to hear Maureen or Sarah talk at an event? Are you fans of their books? Let me know in the comments below!